Mr. Embick concentrates his practice in the area of environmental law. He has extensive experience representing public, private and municipal clients in a variety of environmental matters, including regulatory matters and agency proceedings in virtually every area of state and federal law. He has handled Federal and State Superfund cost recovery litigation, and has served as liaison counsel for various groups of potentially responsible parties in Superfund matters. He has represented clients in substantial property acquisitions, and has been involved in a number of Brownfields transactions. Mr. Embick also represents private and municipal clients in various zoning and land use matters, including the implementation of conservation design principles in municipal zoning ordinances, subdivision and land use ordinances, and comprehensive plans. He is the former director of the Metropolitan Washington Coalition for Clean Air, Inc., a citizen advocacy group, and served in the position of executive director of the American Lung Association affiliate, a prominent non-profit health organization, in the District of Columbia. 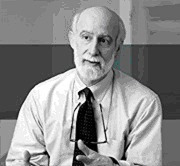 Mr. Embick also served as an assistant chief counsel and deputy attorney general with the former Pennsylvania Department of Environmental Resources from 1979 to 1989, and is the former regional chief counsel for the Southeast Region of the Office of Chief Counsel in the former Pennsylvania Department of Environmental Resources (now PaDEP). Mr. Embick was a partner of the firm Kittredge, Donley, Elson, Fullem and Embick, LLP, from 1989 to 2008, and was with Thorp, Reed and Armstrong, LLP, from 2008 to until June, 2010. Mr. Embick is currently a sole practitioner.